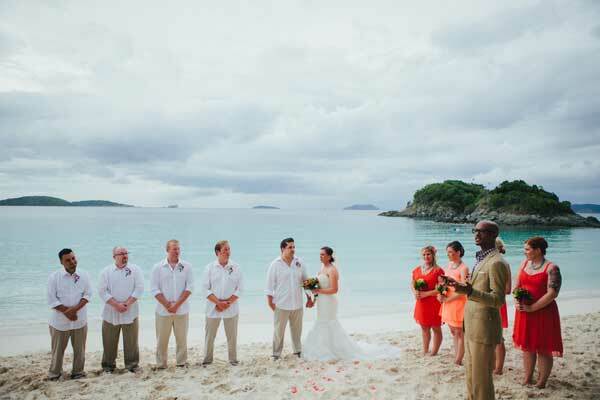 The resort you select can truly make or break a destination wedding. It essentially sets the tone for your special day and impacts not only your experience, but your guests’ experience, as well. 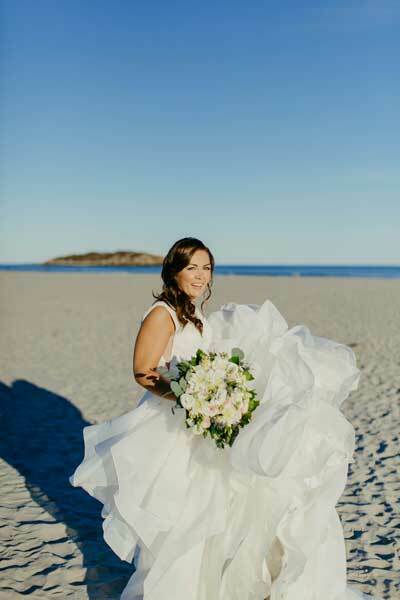 Be sure to work carefully with your destination wedding specialist to ensure you’re accommodating everyone in your party, so your wedding day turns out as perfect as you imagined. Here are some of our favorite adult-only and family-friendly destination wedding properties to help get you started. There’s nothing we dislike more than a rowdy 2-hour transfer to the resort after a full day of traveling. 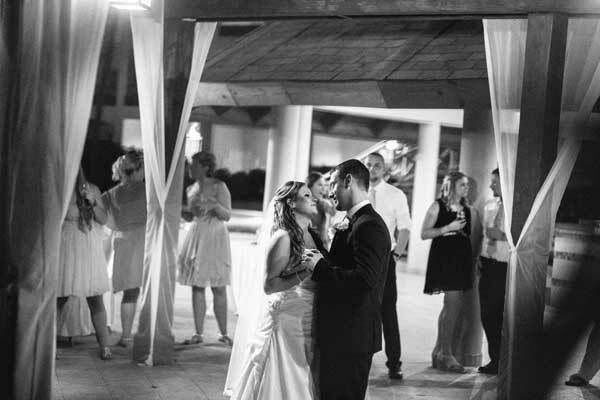 We work with several transfer companies that cater to wedding groups all the time, so you and your wedding party can relax and unwind together in peace. 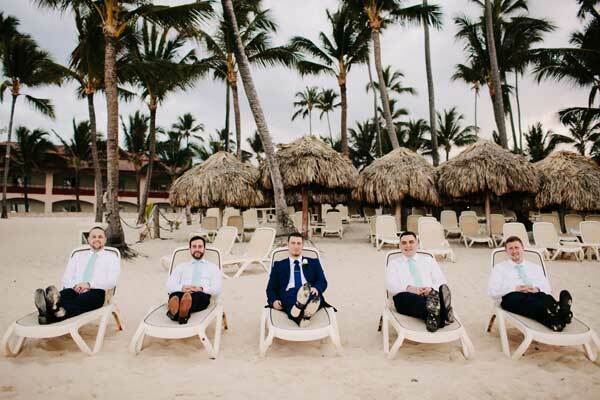 This will give your group some down time before the wedding festivities begin! 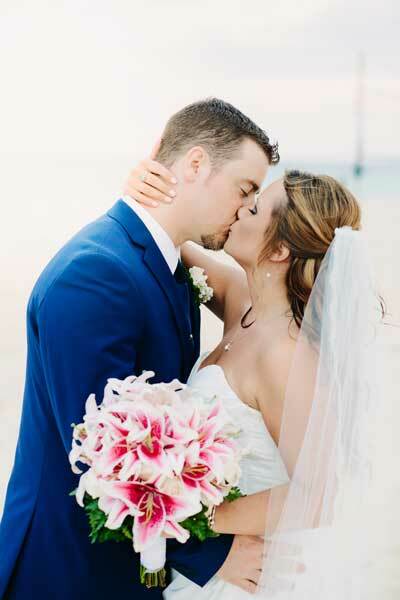 What’s so unique and special about a destination wedding is that the celebration goes on for a few days or more, if you’re lucky! 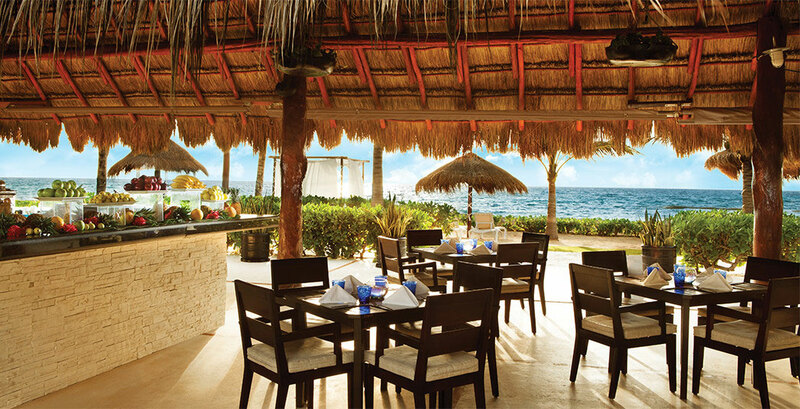 This gives you and your loved ones plenty of opportunities to spend some quality time together in paradise. The best part? 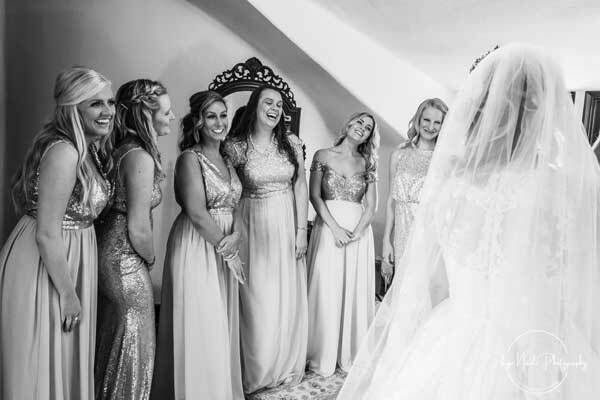 Most resorts have special activities already lined up for the wedding group, so you can bond over new experiences that will create the best memories. Be sure to set aside extra time for this one! 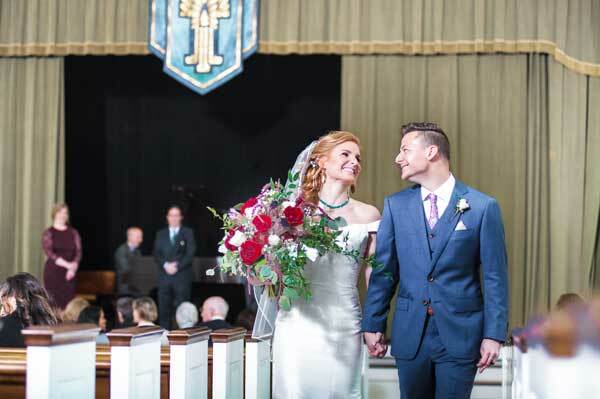 If there’s one thing not to skimp on for your wedding, it’s your photos and video. 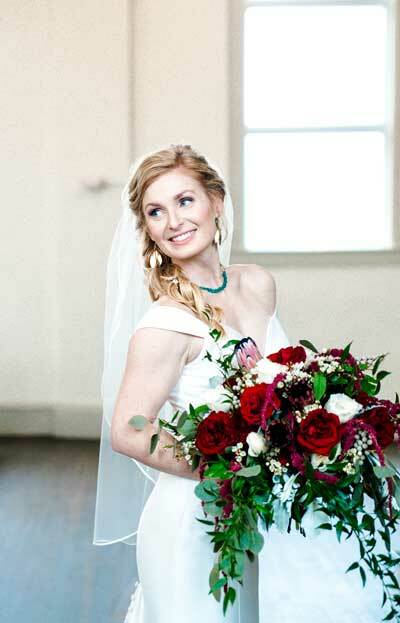 We always recommend our brides and grooms invest in a good, quality photographer and videographer to ensure all your memories throughout the day are captured. This is the best day of your life, after all! 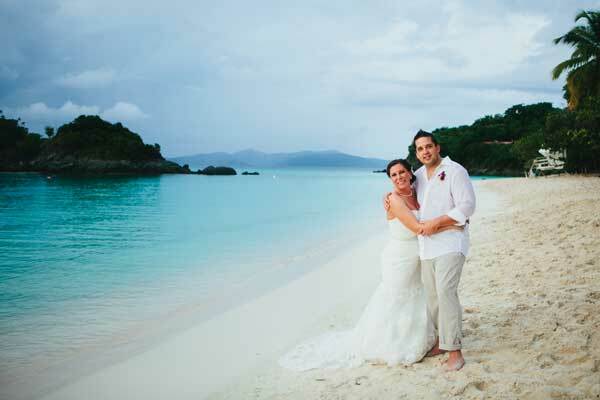 We have plenty of recommendations for some pretty incredible destination wedding photo and video professionals, here. Ah, the honeymoon. Can’t forget about that! 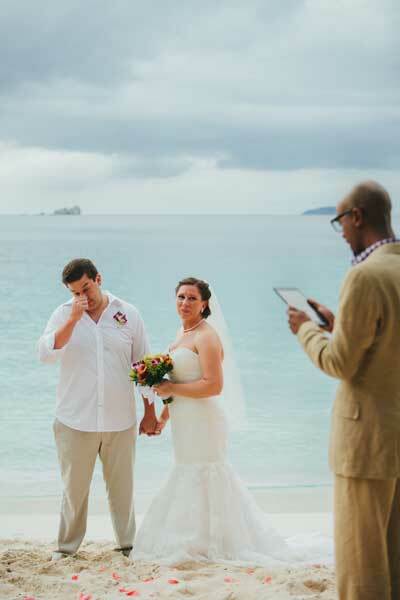 Some couples think because they are going away for their destination wedding, that it counts as their honeymoon…but we beg to differ! After all the hustle and bustle of planning a wedding (and hanging with the family), nothing beats breaking away from it all to get some alone time with your sweetie. 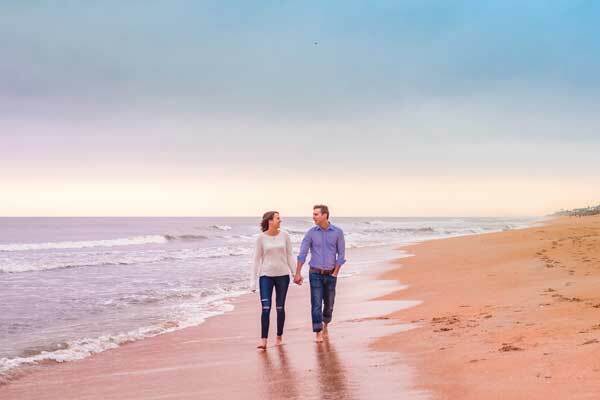 We have dozens of honeymoon ideas for you, not to mention numerous honeymoon offers that come as an added perk when you book your wedding with a particular property. 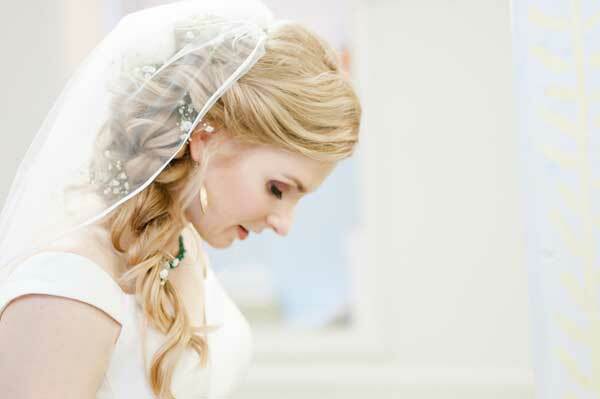 Be sure to take advantage of all the wedding festivities, you deserve it, girl! 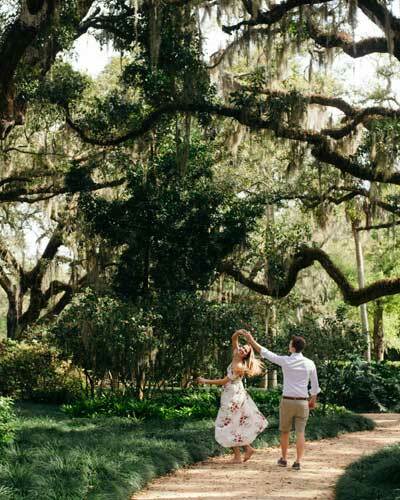 We hope you’ll consider some of these tips when you start to plan your destination wedding –trust us, you won’t regret it! For more information from the experts, be sure to shoot us a note at hello@romancetravelgroup.com today! Romance Travel Group gives the distinction, thanking the support and the joint work that has allowed them to grow. 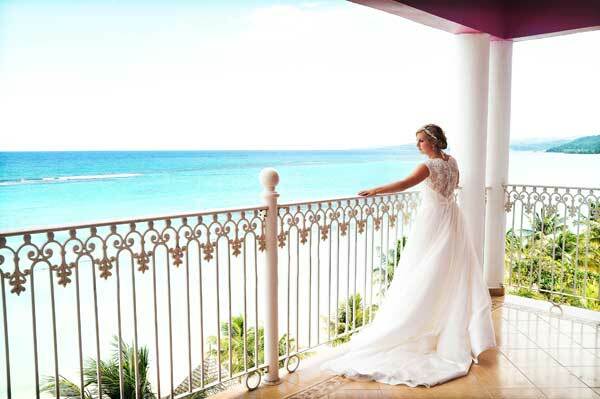 In Quintana Roo and specifically in the Riviera Maya, the wedding tourism segment has increased exponentially in recent years. 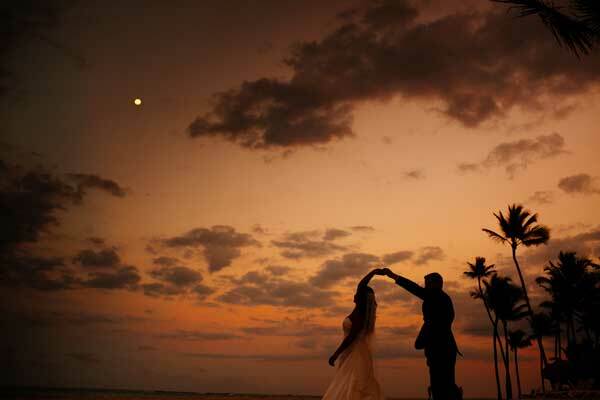 In the entity an average of 25 thousand tourist weddings are made per year. 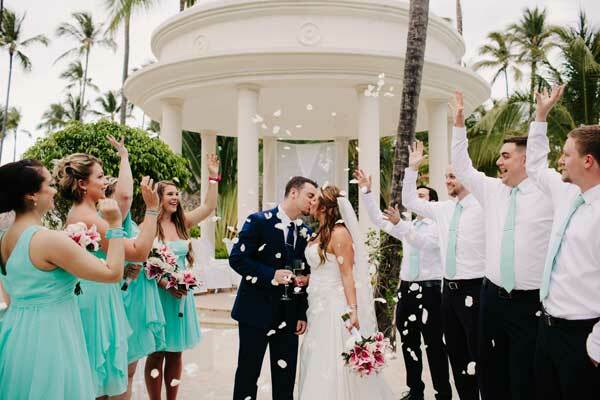 For this reason, Romance Travel Group, the leading agency in planning for weddings, gave recognition to Grupo Lomas Travel and Karisma Hotels & Resorts for the excellence with which they have been working as business partners. 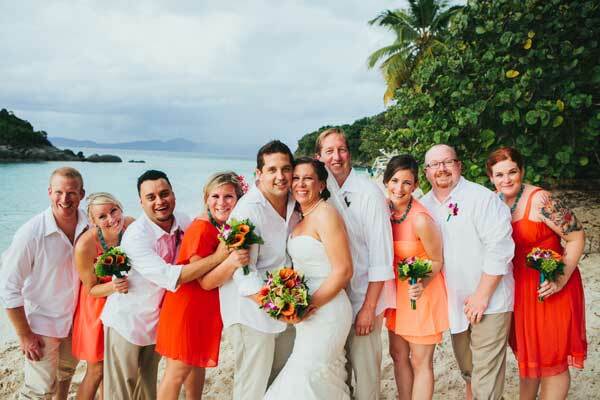 Both groups are recognized leaders in the tourism industry guaranteeing perfect vacations in beach destinations with memorable experiences; They are experts in the planning of weddings, honeymoons or anniversaries. Recently, directors of Romance Travel Group, made a tour of the facilities of the corporate, where Shelli Nornes, owner of the North American agency gave recognition, thanking the support of Grupo Lomas , as well as the trust given, which undoubtedly - "has allowed us all to continue growing". Romance Travel Group, based in Minnesota, has won several awards, awarded by hotel chains as well as magazines and pages dedicated to the tour; recently won Hall of Fame in the GIVC program not only for its high production at our El Dorado and Generations Riviera Maya hotels, by Karisma, but also for the support to the destination of the Mexican Caribbean, promoting us with its clients and strategic allies that work directly with the agency. In this way, the Excellence In Partnership 2019 award motivates Grupo Lomas to continue being a leading company in tourism development. 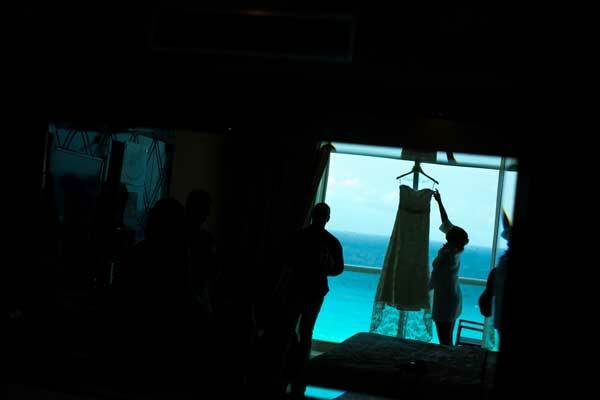 Thanks to its Weddings by Lomas business unit, it has made the Riviera Maya one of the favorite wedding destinations. 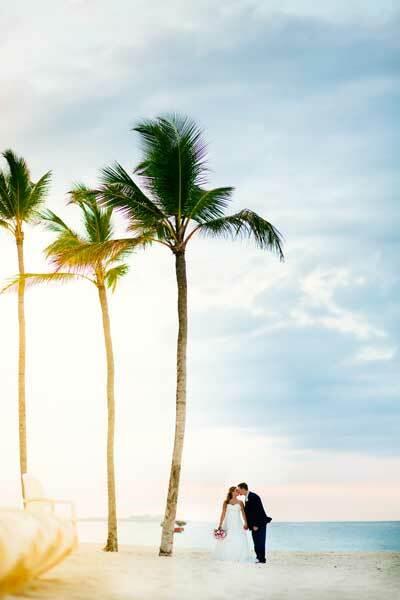 Its impressive beaches, recognized worldwide offer the opportunity of a dream wedding and then enjoy the perfect honeymoon without having to leave after the great celebration. Encompassing everything you love about a traditional cruise ship, Richard Branson’s concept for Virgin Voyages takes sailing to the next level. Finally, a voyage you and your friends can enjoy. That’s right! Virgin Voyages is the first ever adult-only sailing experience. So, leave the kids at home this time, folks! This vacation was designed just for you. Think deck parties and DJs, a poolside oasis, numerous bars and an onboard nightclub, to name a few. Sure, a cruise is “all-inclusive.” Until you start to factor in gratuities, drink packages, internet charges, and more. Not this voyage. This new ship (expected to set sail in Spring 2020) takes all-inclusion seriously. Gratuities, fitness classes, and Wi-Fi, you ask? Well, they’re included. To ensure you’re indulging without feeling the guilt, Virgin Voyages has promised to use the most innovative and sustainable technologies by banning unnecessary single-use plastics. This way, the experience as “green” as possible. This stunning new ship’s sleek design, modern amenities, and vibrant suites will make you feel right at home. Definitely not in some stuffy cabin that you’ve probably experienced before. Virgin Voyages’ rebellious-luxe design gives passengers an edgy and fun sailing experience. Now, can you say that about your average ocean cruise? We think not. Got a late-night craving for Chinese food? Enjoy your juice freshly-pressed? Virgin Voyages will have it. With 20+ eateries (with bars) spread throughout the ship, we have no doubt you’ll find something to your liking. The best part? Everything is freshly prepared...no buffets. Anyone else getting hungry? Virgin Voyages really rolls up its sleeves when the sun goes down. With music practically a part of Virgin’s DNA, they’re bringing the concept aboard for all you party-goers to enjoy. From “off-off-off” Broadway, to Scarlet Night. Finding entertainment will be the least of your worries. Did we mention the private beach club in Bimini? That’s right. In partnership with Resorts World Bimini, Virgin Voyages will run a beach club on the Bahamian island where the ship will anchor for a daylong pool party. Passengers will have private access to the island, where dining and entertainment is on the house – er, ship. Aside from everything aboard, Branson has made numerous partnerships from across the globe to create the most authentic and culturally immersive experience for travelers. Be sure to be on the watch for some familiar places you see on land, as they’ll be tied into the ship’s overall theme! Sounds incredible, doesn’t it? Virgin Voyages is expected to depart out of Miami in the Spring of 2020. For the exciting details, be sure to contact us today at hello@romancetravelgroup.com. With a population of over 4.5 million, Sydney is by far Australia’s largest and most popular city. It’s also known for its iconic Opera House, which is settled directly on the harbor for all to see. Not only does Sydney offer visitors fantastic surf beaches, but they have everything from fine dining, to lush public gardens, coastal walks, historical sites, and more. This Australia destination should be at the top of your list! Melbourne is the coastal capital of Victoria and is the second largest city in Australia. This hot destination is popular for its trendy-vibes, graffitied laneways and cafes, attracting many young professionals and students in the area. Melbourne is also the most diverse city in Australia, with over 40% of its population born overseas. This attractive riverside city has a population of just over 2 million people enjoying its subtropical climate. Explore museums, markets, galleries, eateries and its popular man-made beach. Brisbane is a great Australian destination for those looking for exciting nightlife and shopping, as well! Known for being the second oldest city in Australia, Newcastle is home of some of the most breathtaking beaches, incredible food, and rich architecture. Its popular neighboring wine district and untouched wildlife also have a huge draw to visitors, which could be why it has the most active ports in Australia. Perth is the only Australian city located on the Indian Ocean, with sandy beaches that line its suburban areas. Known for being the capital of Western Australia, Perth has an abundance of funky wine bars, beaches, skyscrapers, parks, and gorgeous architecture. This beautiful destination will give you a true taste of Western Australia! Boasting incredible beaches and views, Gold Coast is a popular choice for locals and New Zealanders because of its cool surf spots and some of Australia’s best theme parks. Inland are amazing hiking trails, waterfalls, and a National Park, where you can spot rare birds and other wildlife. No matter which city you choose to see, “the land down under” will greet you with friendly faces, beautiful landscapes and culture-rich, metropolitan experiences! Think a visit could be in your future? Then, contact us today to speak with a travel specialist! 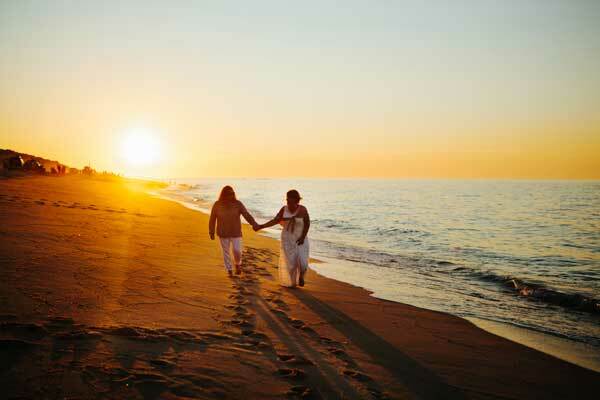 Thinking about honeymooning in Greece? Here are some incredible things to do and see when you’re there! Before you unwind from the hustle and bustle of your wedding, be sure to make a stop to Athens and visit the Parthenon. Most people agree that you only need one day to make your rounds, but you won’t want to miss it! Nothing beats the surreal awe of standing in front of the ancient ruins that you learned about in your textbooks. You may even decide to stay the night to enjoy a sunset dinner overlooking Acropolis lit up in the background. Santorini is a must for honeymooners. In fact, did you know that Santorini is known for being one of the most popular islands in the world because of its beautiful beaches, ancient cities, incredible cuisine, and active volcano? We also recommend staying in Crete or another smaller island for a less-touristy and more authentic Greek honeymoon experience. It’s a given that you’ll be trying the food in Greece, but instead of going for your “usual,” why not give something else a try? Afterall, Mediterranean food happens to be one of the most fresh and tasty cuisines in the world! Greece is known for their seafood, feta, olives, tomatoes, and olive oil, just to name a few. Don’t regret tasting everything this beautiful country has to offer! The Bay of Ammoundi is located below the cliffs below Oia, about 250 steps below, to be exact! Here, you can jump off the rocks into the Aegean Sea and gaze out at the colorful towns that surround you above. Be sure to stop at one of the local taverns for some lunch with a view, too! Take a hike along Caldera of Santorini for the most breathtaking views of Greece. Gaze out into the coast lined with colorful flowers and villages, while capturing moments together in front of the quaint villages. This is a great chance to bond with your new husband or wife! 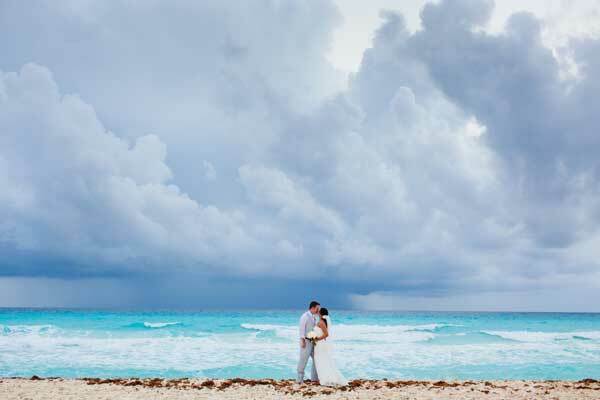 Celebrate your marriage with a trip that will truly take your breath away. 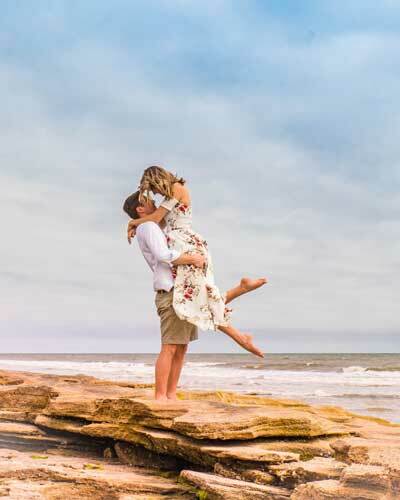 For more honeymoon ideas, be sure to get in touch with us at hello@romancetravelgroup.com, or click here to start planning your honeymoon today! Humpback whale watching is a very popular attraction for Maui tourists. There are whale watching cruises that will take you and your family to the most exquisite coastlines to see them! These tour boats typically have an open upper deck and enclosed lower deck, so visitors can choose their own experience. In addition, the enclosed main cabin will have large viewing windows, and under-the-water web cams and hydrophones to enhance your experience. Tours operate during whale migration season, so be sure to book this excursion between December and May. Explore some of Hawaii’s best marine life in Molokini, a sunken volcano that is home to the most gorgeous coral reef in the world. Swim alongside the colorful fish and vibrant coral and wildlife. Later on, your tour will make a pit stop at Turtle Town or Coral Gardens for a very unique sea turtle sighting! This excursion is a half-day cruise from Maui, and well worth the journey! For the nature-lovers in your group, the Road to Hana is a great Maui activity for you! This gorgeous stretch of terrain consists of miles of tropical forests and exotic plants that will take your breath away. Along the way, travelers will have the opportunity to stop at Hawaii’s most exotic state parks to explore and take plenty of photos. Natural springs, waterfalls and rainforests will enchant you along the way. A great adventure for those looking to see what Maui is all about! Voted as Trip Advisor’s “Best Beach in Maui”, Ka’anapali Beach is ideal for all the sun-lovers out there. It is a great place for snorkeling, watersports or just lounging out all day. The area is also surrounded by plenty of restaurants and shops within walking distance, and is a gorgeous stretch of pristine sands with beautiful views. Celebrate Hawaiian culture at this high-energy and exciting event! Enjoy traditional Hawaiian cuisine, while lively music and performances entertain you all night long. Traditional luaus take place right on the beach with an enormous buffet spread of pork, vegetables, and more! The best part? You might even catch a fire-knife performance that will keep you at the edge of your seat, while you “ooh” and “ahh”! Definitely a must-do in Maui! Curious what else Maui has in store for you? Great! Contact us today at hello@romancetravelgroup.com for some more inspiration, or to request a custom quote! The couple’s wedding website should indicate your booking deadline, but if you want the most options with the best rates, it’s best to book early. Since the bride and groom need to know who is attending in order to plan seating and meals, we recommend you make your room deposit as soon as you get the invitation, but at the minimum, book at least 6 months ahead so they can plan their wedding accordingly. 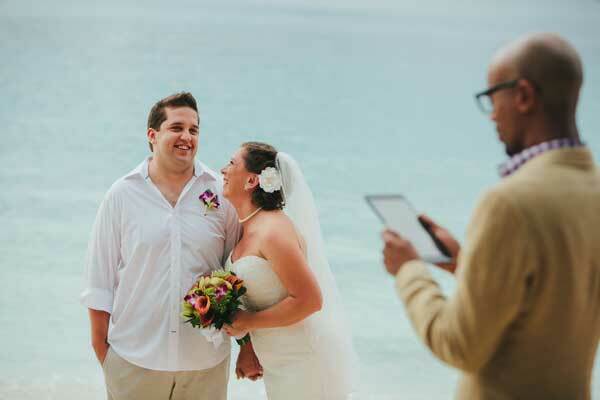 Most couples will provide you with specific booking details via their wedding website. This should include the room information and either prices or a quote form to fill out and submit to us. Amenities are based on how many rooms are booked, so making your reservations on time through the couple’s travel agent is important. It’s also important to book your rooms as soon as you know you can attend, so the couple isn’t scrambling to get things together at the last minute. Be kind, book early! Room rates are usually posted onto the couple’s wedding website. Occasionally, instead of rates, you’ll find a quote request form. To get an accurate quote from us, you’ll need to fill out and submit the form and we’ll reply with a custom quote. The more details you can provide, like how many nights you plan on staying, or where you’re flying from, will help us give you a more accurate cost. Typically for guests, a destination wedding can cost from $1,000-$1,500 per person depending on some of the details noted above. This covers your flights, accommodations, and food/drink for 3 or 4 nights. The bride and groom understand not everyone will be able to make the trip. Just be sure to let them know as soon as you can. 5. “Is there anything that’s not included”? 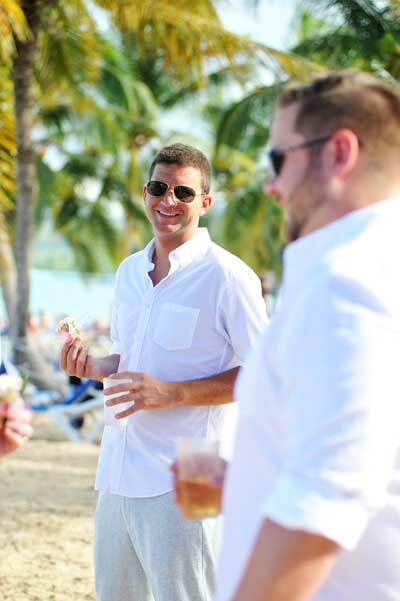 Although tips are technically included in your resort package, you’ll want to bring some 1’s and 5’s for the bartenders and servers taking care of you throughout your stay. Keep in mind, your shuttle driver isn’t a part of the resort staff, so bring some cash for your transfer driver. Additional excursions or spa treatments are also not included and can be paid with a credit card at the hotel. We work hard to ensure you receive the best rates possible. If you do happen to find a more affordable option online, just let us know and we’ll see if we can get the same price. 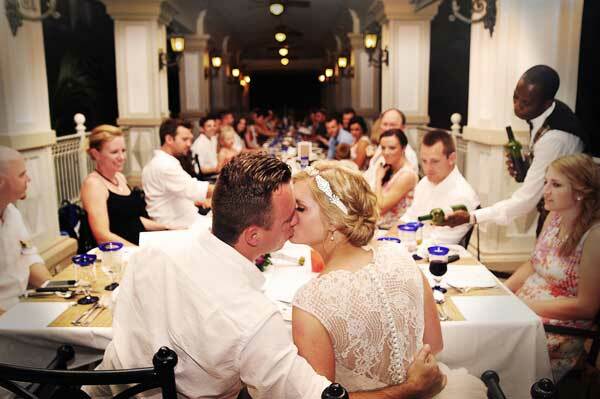 This allows us to include you with the rest of the wedding party, so you all get the same group benefits. Be sure to dress light and breezy, since the air will be warm and humid. For the ladies, nice sundress or capris with sandals is ideal. For the men, khaki slacks, linen shirts, and nice sandals as well. 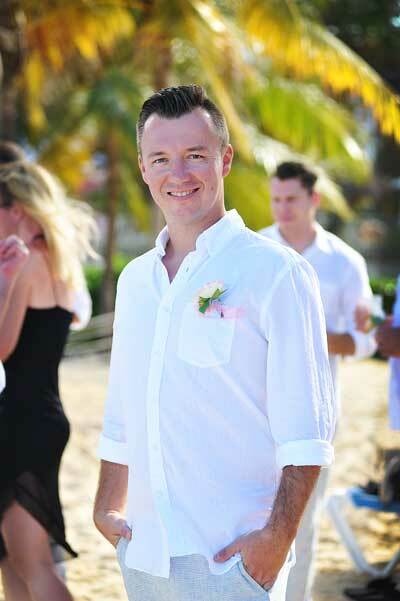 You won’t see many suits or ties, so unless otherwise noted by the bride and groom, keep it simple. If you’re still unsure what to wear, be sure to ask the couple for suggestions. Gifts are not necessary for a destination wedding. Some couples tell their guests making the trip out is a gift in itself, but a card is still a nice touch. We can always add a tour or spa treatment to the couple’s itinerary, if you want to give them something to enjoy at the resort. Otherwise, boxed gifts or cards with money should be given to them once you return home. The best thing to do if you run into room or flight issues is to come to us! We are available by phone or email and our travel partners have 24/7 help desks you have access to. Please avoid getting the couple involved, as they will already have enough on their plate. Just be polite and patient, and things will get worked out as soon as possible. 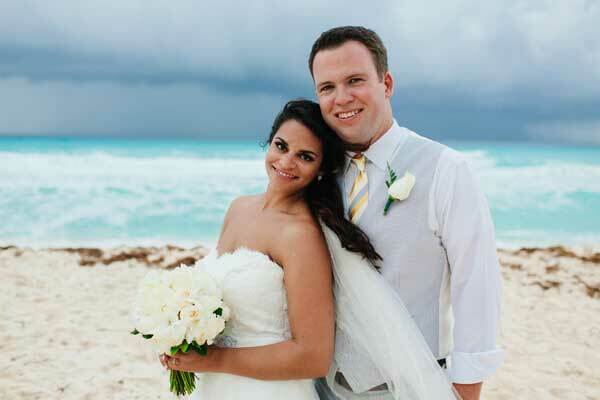 We hope these destination wedding FAQs helped clarify any questions you may have had. For further questions, feel free to reach out to us at hello@romancetravelgroup.com, and we’d be happy to assist! 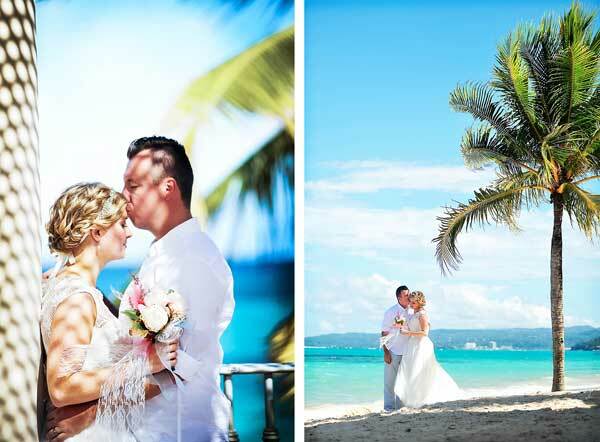 Introducing Destination Wedding Photographer: Katie Pietrowski! 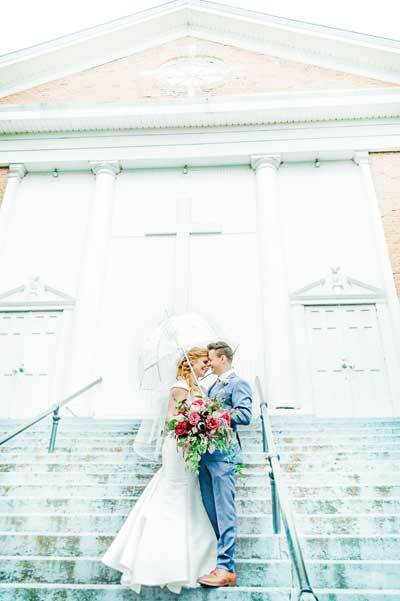 Romance Travel Group is excited to announce a new partnership with destination wedding photographer, Katie Pietrowski! Born on Cape Cod, the beach is my second home, and a place I could photograph couples forever. 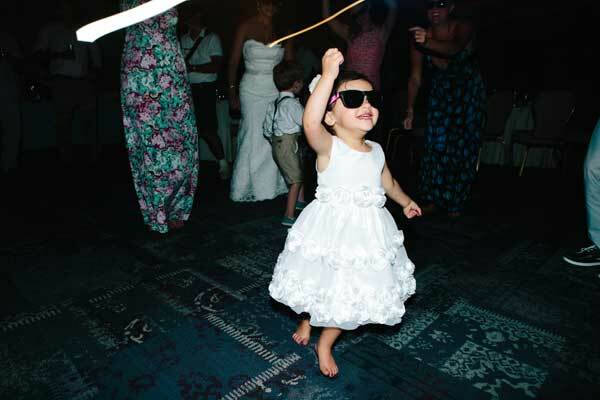 After 9 years of photographing weddings, I have developed a style of shooting that is fun, authentic, and honest. 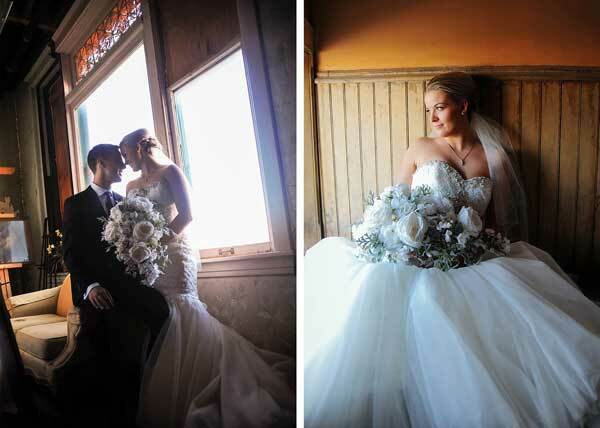 My goal with each wedding is to capture the hundreds of individual moments that makeup the story of the wedding day. When you work with me, you don’t just get a photographer, you get an organizer, a hype (wo)man, and someone who genuinely cares about delivering you an outstanding product. I have always loved photography and purchased my first “professional” camera for fun in college. I started photographing friends, taking headshots for the theatre majors, and landed an internship my senior year with an incredible photographer nearby. After a 3 month long crash course in shooting weddings, editing, and creating an amazing customer experience, I started my own business shortly after graduating. 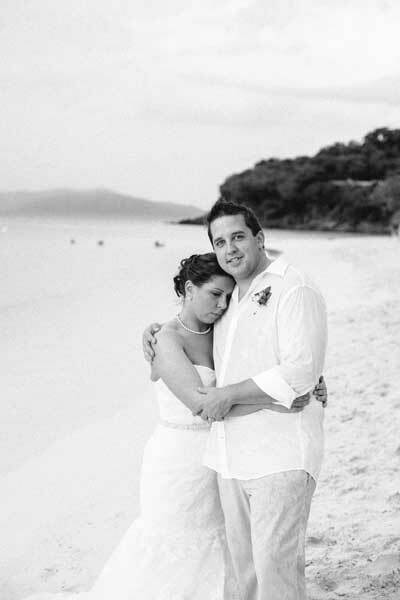 Nine years later, I’ve photographed 140+ weddings, and made dozens of new close friends who were once my clients! Weddings are the most unique, intimate, and emotional events to photograph. You can never replicate them, never go back in time and re-do them, and they truly are the beginning of a new chapter for the couple (and all of their family and friends.) They are a mix of emotions, beauty, and chaos, and I never get tired of documenting them. Two favorite parts. First, the ceremony. This is the reason everyone is there. It might only last 20 minutes, but those 20 minutes are the most important part of the day. I love photographing the reactions of family members, the emotions on the couples face as they read their vows, and the passionate first kiss as a newly married duo. 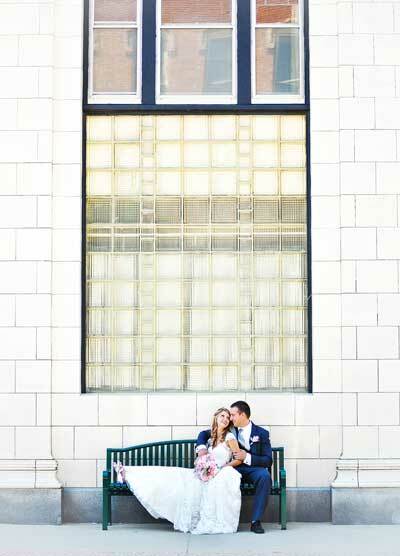 Second favorite part of the day; portraits with the couple. Often times this is the only time where they are able to be alone and soak it all in, so I love facilitating that time and naturally capturing them from afar. Oh man. So many moments, ha! 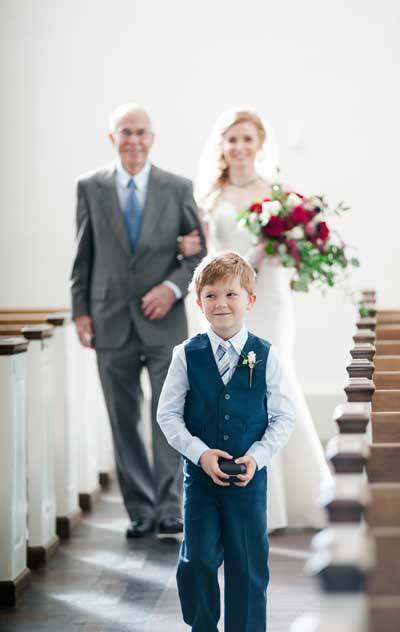 It’s very likely that at some point during your wedding day, I’m behind my camera trying to hide my watery eyes. A good father-daughter dance moment, or any time a parent gets emotional during a speech gets me good! Also, any time vows are so personal and beautifully written that everyone is crying truly does take my breath away. My approach is simple. I’m there to document the day from behind the scenes. 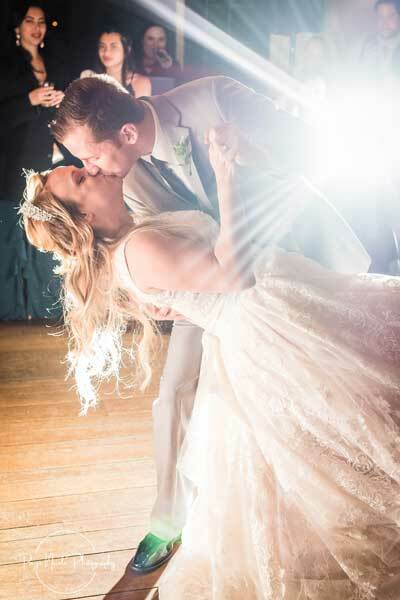 I let the wedding day unravel as it naturally would, and I capture everything from the emotional first look, to the crying with your best friend on the dance floor, to the group photo with 96 year-old grandma at the center of it all. 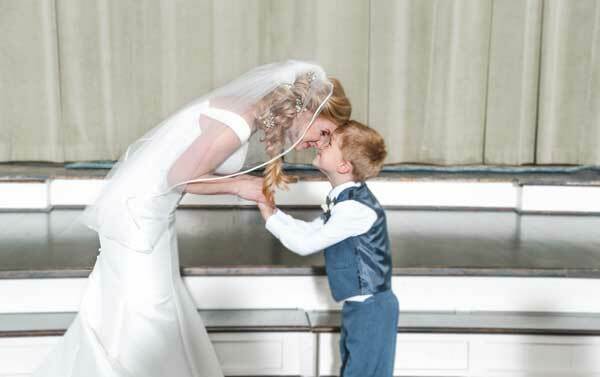 The best wedding photos are the real ones. The moments and small but important exchanges that happen all day long. And those are the photos that my clients appreciate most. I think clients would say I am outgoing, funny, reliable & creative. Fortunately, a lot of my couples end becoming friends of my fiance and me due to how much fun we have working together! 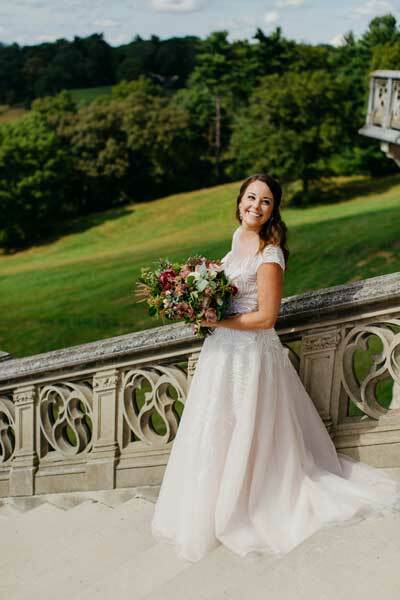 The biggest compliment I received from a bride’s review recently was: “My bridesmaids absolutely loved her and I joke to my husband that I really just want to be her best friend because she is just so fun and has great energy (trust me, also something you really want on your wedding).” My relationships don’t just end after the wedding day is done, and I love that! Relax. Do the hard work leading up to the wedding. Hire vendors you TRUST. Delegate your budget to things that are most important to you. 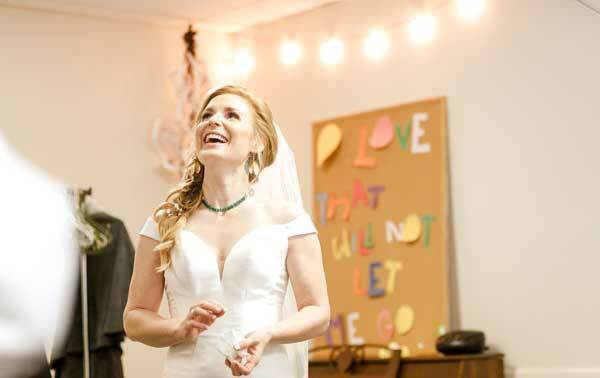 Throw all ideas of “what I’m supposed to do” out the window and reframe the thought as “what do my fiance and I WANT to do.” Do all of that, and when the wedding day comes, you will be in complete relaxation mode knowing that you’re working with the best, and have planned a day that is totally unique to you. 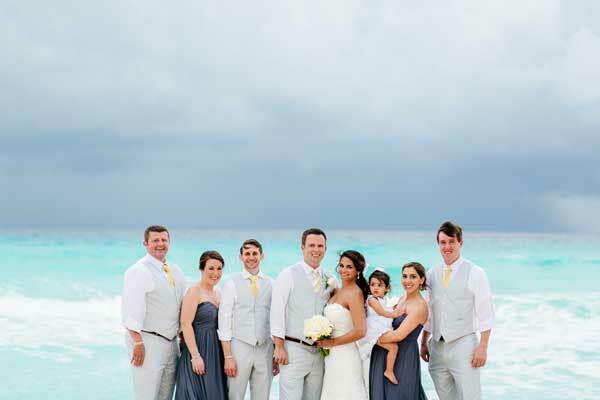 Introducing Destination Wedding Photographer: Jenna Ryan! 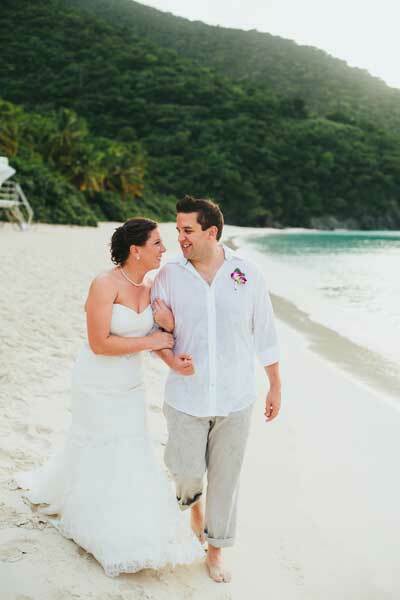 Romance Travel Group is excited to announce a new partnership with destination wedding photographer, Jenna Ryan! I consider myself equally a Northerner and a Southerner – I grew up in the Midwest and spent the vast majority of my years there. I loved life there and all the people in it, but always felt a pull toward the South. For the last few years, I’ve felt so fortunate to do life in South Carolina. I love my job as ‘Mom’, and I love to travel. Wherever life finds me at any given moment, you’ll usually find me with some sort of camera in my hand. There is beauty to be found in every situation, and I’m constantly channeling C.S. Lewis’ idea that “We do not want merely to see beauty, though, God knows, even that is bounty enough. We want something else which can hardly be put into words – to be united with the beauty we see, to pass into it, to receive it into ourselves, to bathe in it, to become part of it.” I’ve found photography to be an invaluable tool in this way. I’ve always appreciated how art and design can evoke such emotion or sense of peacefulness in a person. 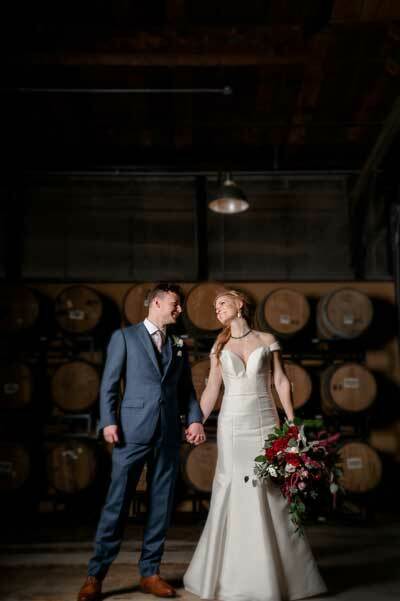 In college, I began posting photos of my photography class assignments on social media, and before I knew It a few friends had asked me to photograph their weddings. 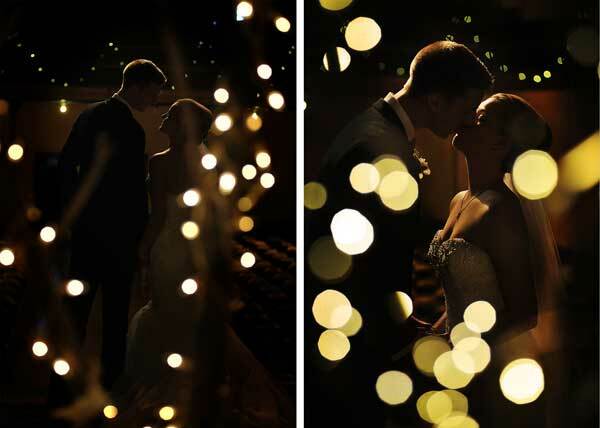 That led to more weddings, and it wasn’t long before I found myself doing photography full-time. I think for me, so much of what I do is about the *moment*. That look between a bride and her groom, a bride and her dad, the laugh a groom shares with is best friend. These moments happen so quickly and then they are gone. When I look back at a wedding I’ve photographed and see all those priceless moments that are now preserved forever for that couple, it’s extremely fulfilling. I love the couples’ portrait portion of a wedding day. Whether it’s before or after their ceremony, that sweet time I get to just laugh a little with a bride and her groom is so fun. And, because I know that these are the photos that will likely hang in frames for decades to come, I find that my creative adrenaline kicks into overdrive during this time! I was recently photographing a bride in the bridal room, and as she was looking in the mirror, she began to cry happy tears. I think even she was caught off guard by how excited she was to marry her groom. It was delightful to hear her talk about how beautiful she felt, and when her 6-year-old son walked in all handsome and dressed up, I thought she might lose it completely in the best way. They were becoming a family that day, and it was beautiful. My aim is to always learn my couple’s story, because when you learn their story, suddenly the moments that need to be captured become very clear. My goal is to create natural space for couples to have some fun together. If they can even forget I’m there for a moment while photographing them, I’ve done my job well. 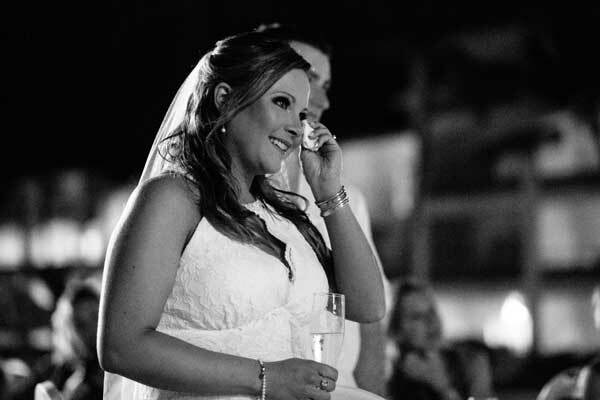 Photography is a hugely important part of your wedding day, but it should not overtake the day. I gravitate toward a light & airy style of photography, but also don’t like to place myself or my clients in a box of one style. Sometimes the moment calls for more of a dark and moody feel. Overall, I like to consider myself a purveyor of beautiful moments, and each moment deserves special consideration as to how it should be captured. They would tell you that I have a healthy respect for the wedding day and all that it entails. I am always available, but never obtrusive. I’m equal parts adaptable and prudent when it comes to keeping the schedule of your day. Fun during a photo shoot is a priority, and it makes me do a little happy dance every time grooms tell me how much fun it was to have their photos taken! 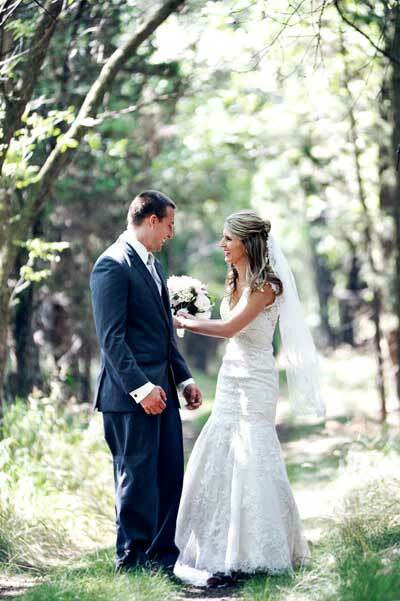 Consider that your photographer is one of the people you will spend the most time with on your wedding day. She will likely be with you while you’re getting ready, during your first look, and all throughout the day and night. Be sure to choose someone that you can enjoy spending that time with, as well as someone who cares enough to learn your unique story. 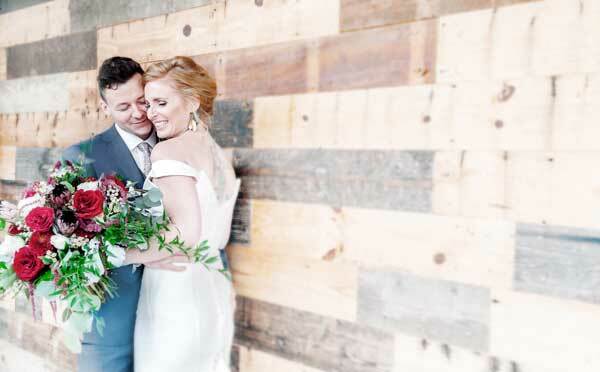 If a photographer has done her job well, the candid, unforeseeable photos you receive from throughout your wedding day may just become some of your favorites.